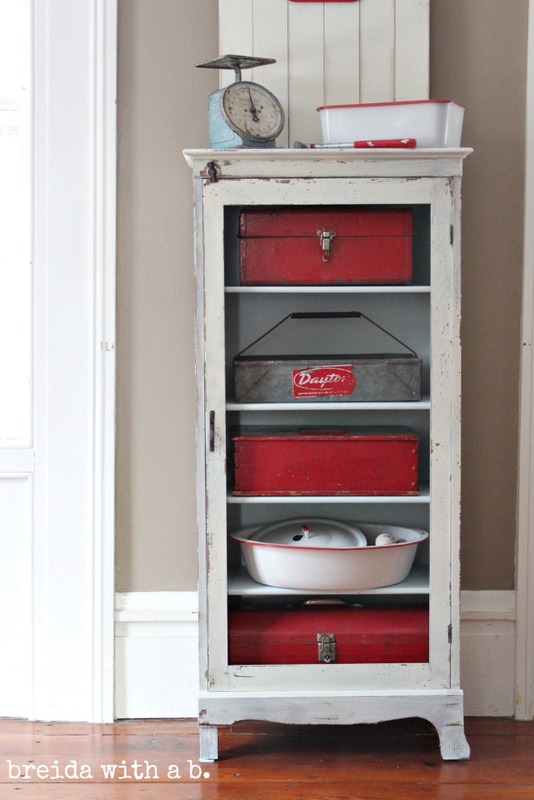 Welcome to Party Junk 223 – Salvaged DIY Whites! Hello and a happy party weekend to you all! Most everyone desires a dreamy farmhouse, but if you can’t live in one, why not make yours into one? Here’s my take on super simple window mouldings with no miters and no fancy wood pieces. Definitely a much brighter statement! Ohhhh my goodness… you must look at the back of this sign. What a total win this idea is! LOVE it! The moment I saw this box, I fell in love with it. 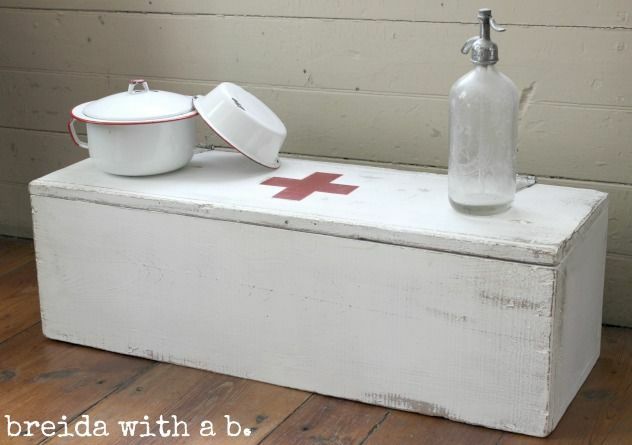 What is it about a simple red cross on white that is so striking? Breida has the right idea. Have your tools indoors looking good so you don’t have to trip over your lawnmower on the way to your hammer! This is a beauty! Wish to make something white with graphics perhaps? 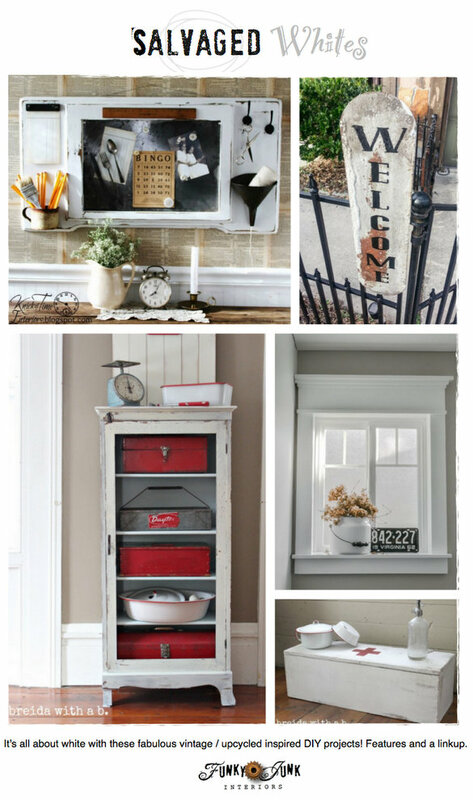 Here’s a Hometalk clipboard of 43 inspiring projects all using printables! 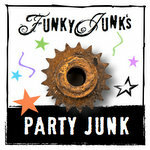 There’s also a new junk party in town! 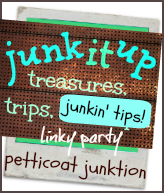 Link up your junk finds, trips, tips and projects over at Petticoat Junktion HERE! On all weekend. 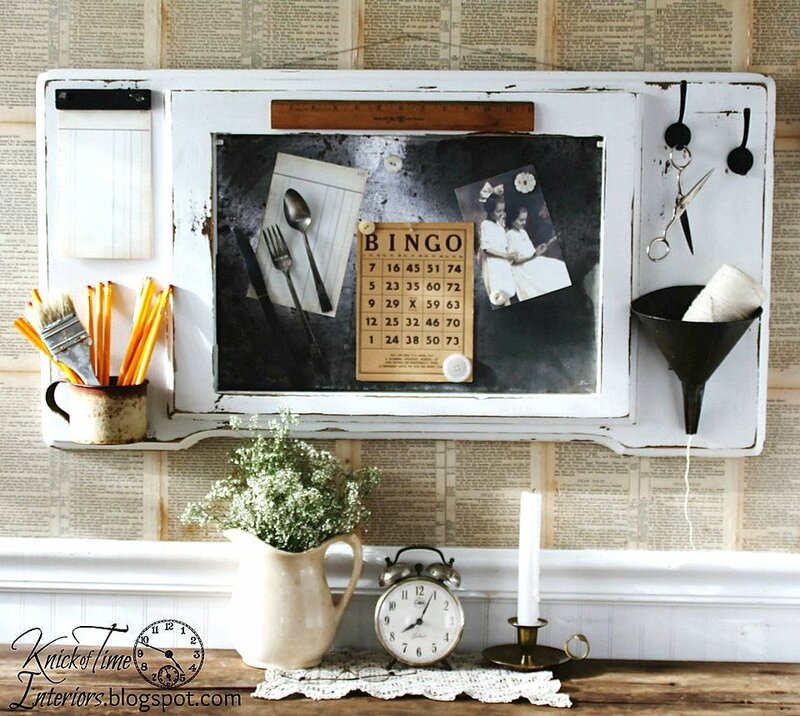 Link your salvaged /vintaged inspired whites in this weekend’s themed linkup! Right click a button above, save to desktop, upload into your blog post like a photo, and apply this post’s url as a link to the picture. 1. Upcycled, DIY home projects only please. 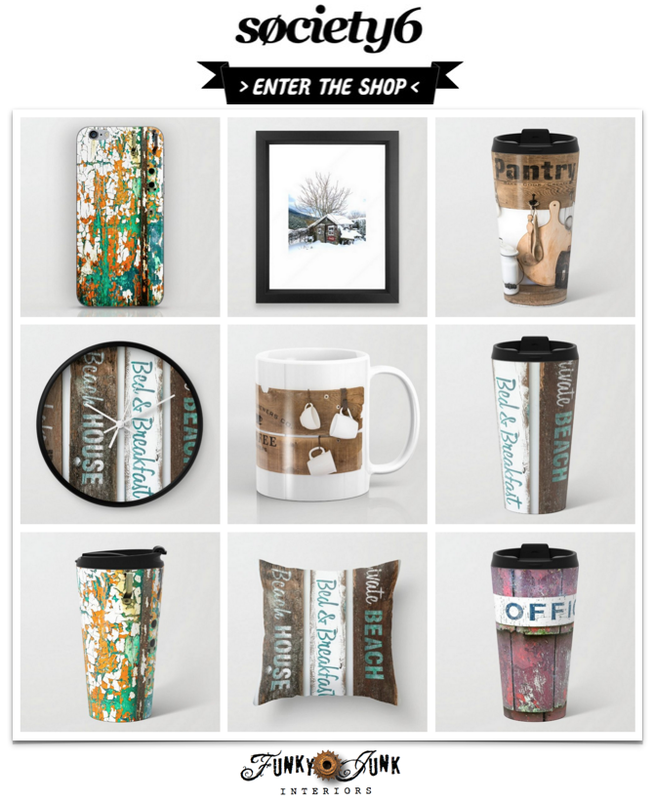 Items for sale must be in tutorial form on your blog. 2. Linkups must be your own work, not another’s. 3. Only projects new to Party Junk please. The themed linkup is an exception. 4. By linking up here, you’re cool with me featuring you on my blog, Pinterest, Twitter, FJI Facebook and I Love That Junk with no additional permission required and add your link to like minded themed linkups. I’ve been checking out your farm window and love it. We didn’t trim out our windows and the sheet rock is now separating from the window bottom. I want to trim them out and this is just what I’ve been looking for. Thanks! Great window frame, very vintage look. Thanks for hosting Donna. The window is framed beautifully. Thanks for hosting and I am passionate about all the white links. I’m loving all the white! I am a color loving girl but adore the contrast of color next to clean, crisp white! Thanks for the party Donna! The window trim looks great, Donna. We have a window in our stairwell that needs some trim and this is so inspiring. Thanks for hosting. You’ve simplified your categories for SNS. Great! Thanks for hosting! Have a fun weekend! This party rocks!! 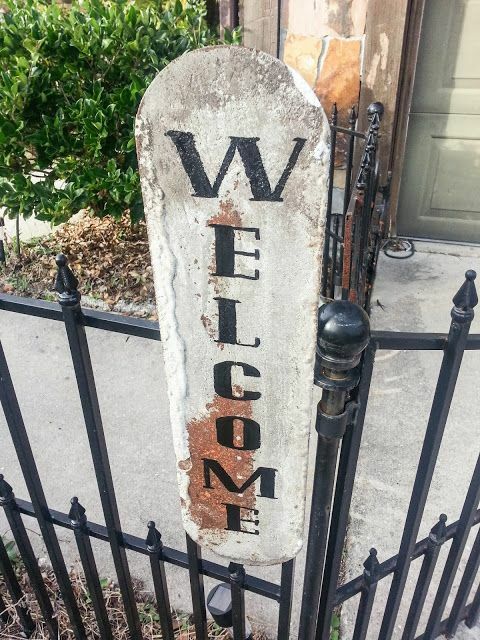 Thanks so much for hosting.… 🙂 I always enjoy looking at the fab re-do’s around here!!! Fab.u.lous!! Love the window frame you built in your bathroom Donna. Thanks for hosting Salvaged DIY Whites this week. Thanks for the party Donna–no one throws a party like you do :)! Donna, I LOVE your new window! Thanks so much for the party and have a great weekend! 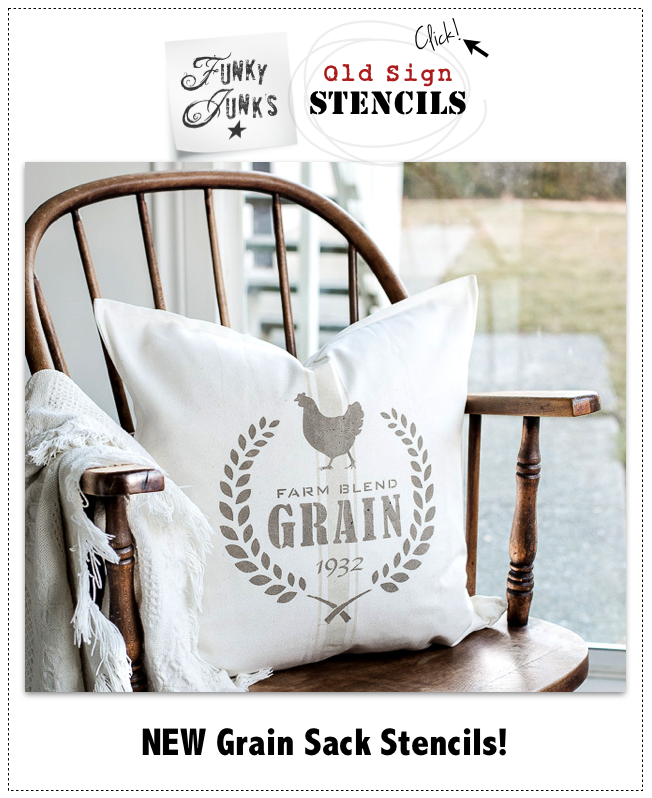 Thanks so much, Donna, for featuring my grain sack chairs on the Hometalk inspiration board. They were one of my favourite projects. I’ve included it in the party under the “whites” – hopes that’s okay. Donna, Love the party theme this week. That little red cross on the white chest is an eye catcher. Thanks for giving a shout out to my party! Have a great weekend. 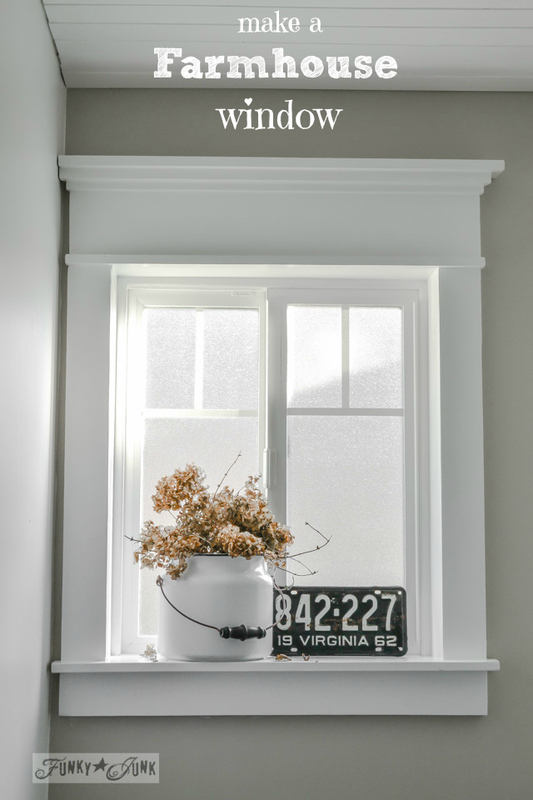 Love your window trim. That’s what I want to do to our windows in our old farmhouse. Any character that was in this house was stripped out long ago (not by us!) We are trying to add some of that back. Great features! Thanks for hosting Donna. Have a super weekend! Some really great features here. Angie is so talented, she wastes nothing! I agree, a crisp red cross on white just looks so cool. Happy weekend! 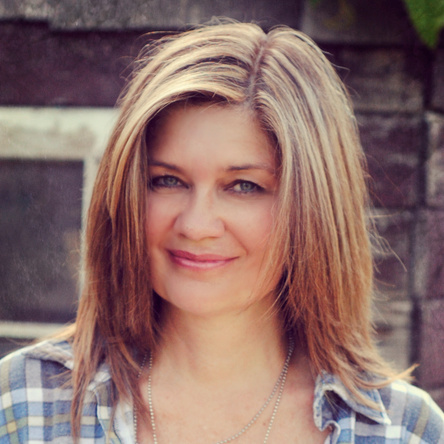 Thank you for the linky party, Donna! 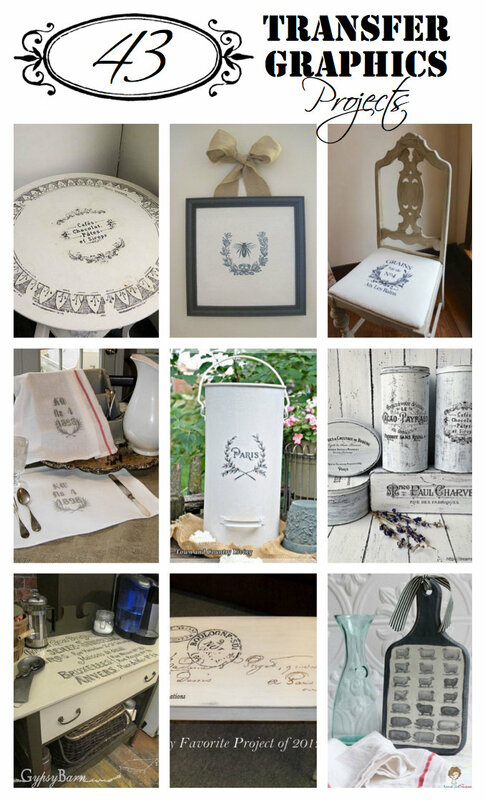 I love white decor, especially vintage/distressed white. So many fantastic links here to check out! Yeah, I linked up! A day or two late, but I got there. Loving the themed links! Thank you for still taking the time to host these! Love ye, and have a great week. The worst thing to endure after hosting a party is to take care of the junk that is left behind. Because of this I usually approach some party and event rentals so that they will take back all that is left. But now you have given a wondeful idea, thank you so much for this.